Your Auto Parts Purchase is Protected at Church Auto Parts! At Church Auto Parts we make your parts buying experience quick, easy and worry free! 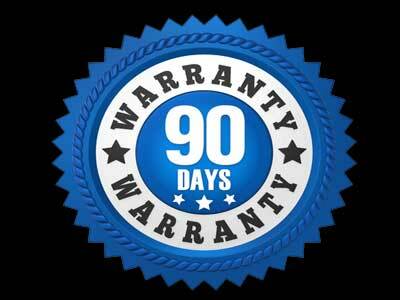 That includes offering a 90 Day Limited Warranty on in-stock parts to ensure your confidence. Our parts go through various quality checks during the vehicle buying, dismantling and inventory processes and again prior to you receiving your parts. Customers have been putting their trust in our auto parts since 1982. Call for complete parts warranty details.